With news that the 2014 Chevrolet Volt will cost $5,000 less than the previous model, cruising around in the green zone appears to be getting a whole lot cheaper. Following some earlier speculation that the new Volt (above) could cost up to $10,000 less than the 2013 model as indicated in a May report, Chevy has announced that that the 2014 model will start at $34,995 with the same amount of content, which includes an $810 destination fee — excluding the extras like tax, title, license and dealer fees. It’s not exactly that mouth-watering $10,000 off many were holding out for. But it definitely makes it easier to roll into the plug-in hybrid, which has an EPA of 38 miles of gas-free driving and an extended engine range of 380 miles, according to a GM release. In fact, with federal tax credits that can go up to $7,500, pricing for the Volt could start at $27,495, says GM. 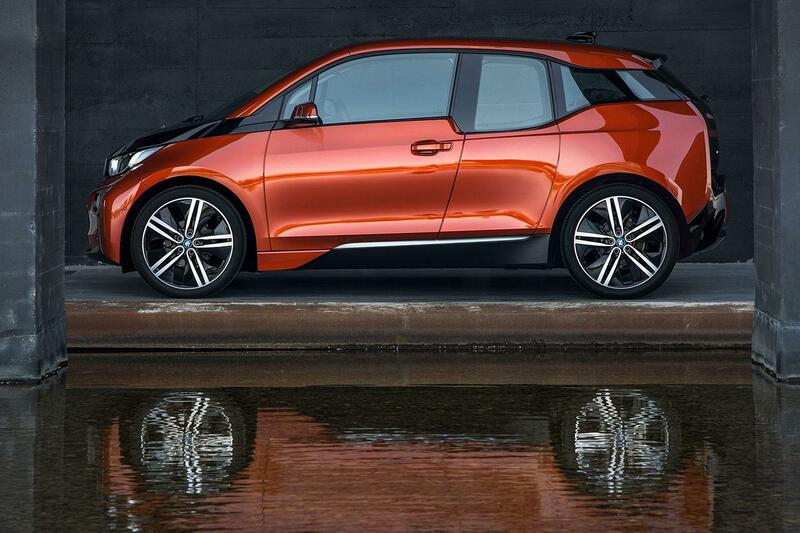 The BMW i3 touts an impressive 80-100 mile range and a hefty $41,350 sticker price to go along with it. The lower pricing for the new Volt, which will be available in dealerships late this summer, follows a growing trend in the industry as automakers look to entice more consumers to buy an EV. Additionally, Chevy has also released an electric-only version of the Spark subcompact called the Spark EV (below). 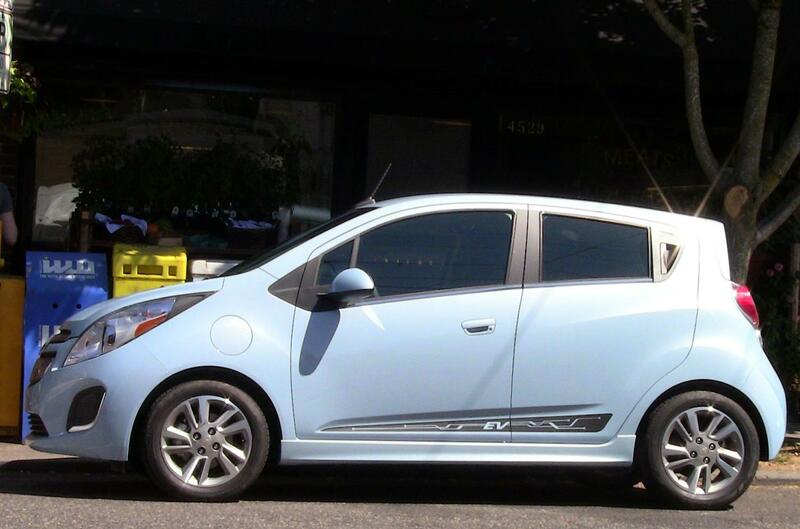 Available only in Oregon and California at this time, the Spark EV packs an 82-mile range and seating for four. But best of all, with an MSRP of $27,495, buyers can use federal tax breaks and, in California at least, another $2,500 in rebates from the state to drop the final price to $17,495. There’s a lease option as well for $999 down and $199 a month for three years. Since no gas is required, that’s a pretty good deal. 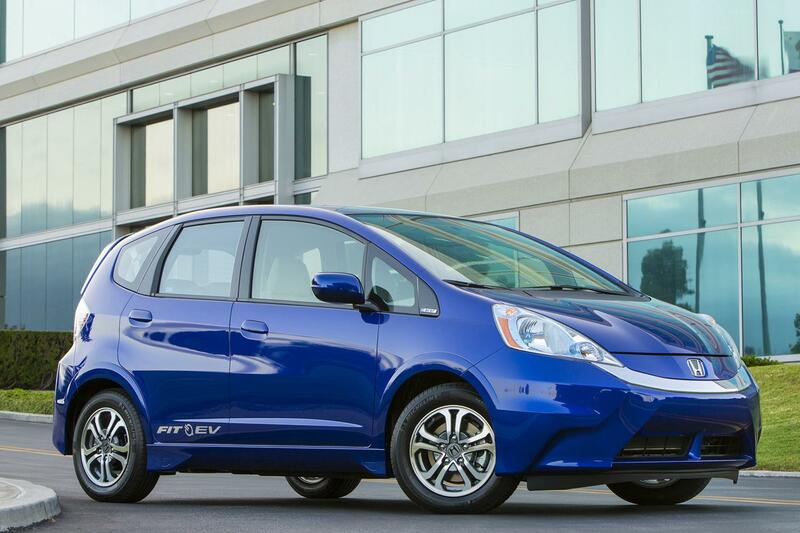 In June, the lease price for the new Honda Fit EV (below), which has an EPA-rated driving range of 82 miles, dropped from $389 a month to $259 a month, which includes unlimited mileage, routine maintenance, collision coverage and a 240 volt EV home charging station equipment (not including installation), according to an official Honda news release. 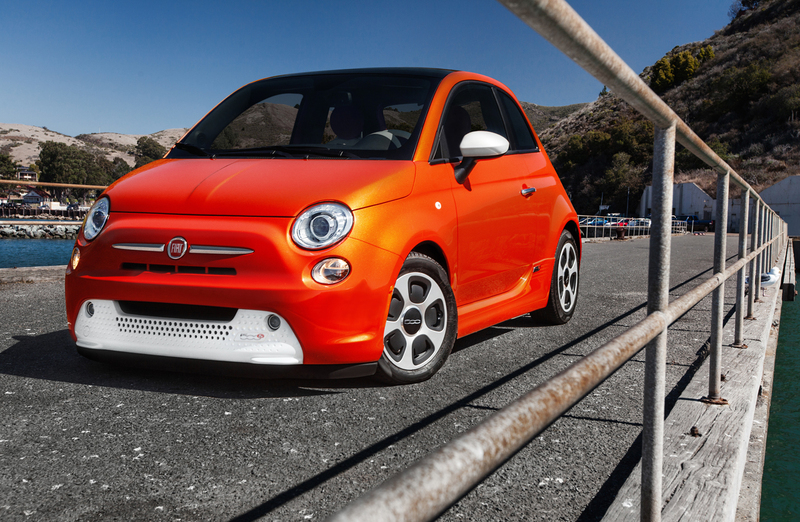 The all-electric Fiat 500e (below), currently only being sold in California, has a starting price of $32,500 that potentially lowers to $20,500 with federal and state incentives. Interested buyers can also lease the plucky EV for $999 down and $139 per month. In January, Nissan reportedly cut the price of its Leaf electric vehicle by more than $6,000, and in July, Ford reduced the price of its 2014 electric Focus by 10 percent. Lease pricing for the 2014 Chevy Spark EV, which has a combined city/highway EPA estimated range of 82 miles when fully charged, starts at $199 with a potential MSRP of $17,495 with state and local tax credits and incentives. 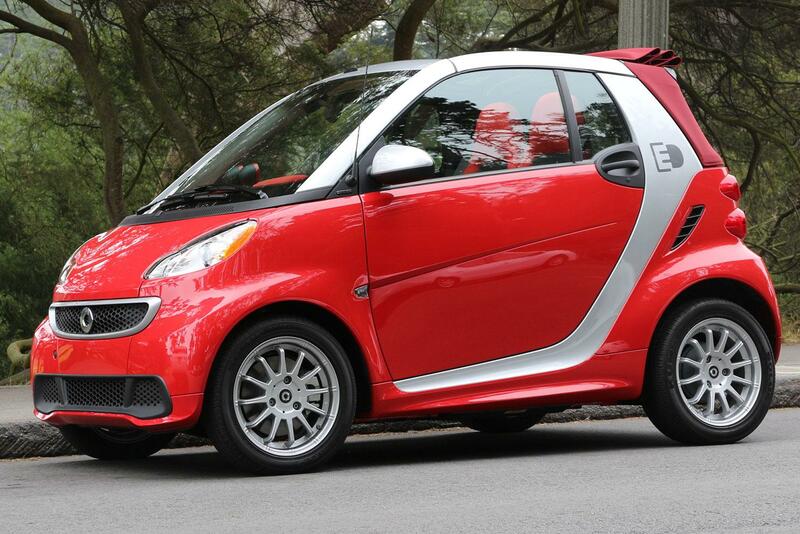 One of the lowest available leases for an all electric vehicle is $139 a month for the diminutive hardtop smart Fortwo ED (below). Buyers concerned with the health of their emission-less EV can choose to lease the battery for an addition $80 per month, bringing the total cost to $199 each month and guaranteeing the battery’s performance for 10 years. In addition to move inventory, it appears that some of the recent price reductions for EVs indicate that automakers are getting a better grasp on how to produce the high-tech cars less expensively. To make the Leaf (above) more affordable, Nissan added a lower trim level to the 2013 model line-up that starts at an MSRP of $28,800 (not including destination), which with federal and state tax credits can go as low as $18,800. The Toyota Prius plug-in hybrid has an estimated $32,810 including destination charges. 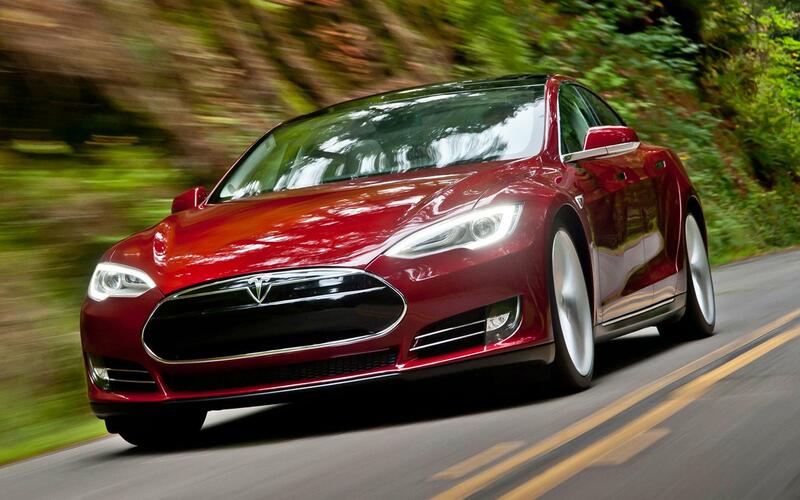 Still, are the costs low enough yet to make you consider buying an electric vehicle? By far not the most expensive EV listed but certainly up there is Toyota’s RAV4 EV. Consigned to California for now, the RAV4 EV features an electric range of 103 miles and an MSRP of $49,800. Toyota also offers a 36-month lease option at $599 per month with down payment of $3,499. Of course, if price simply isn’t a concern, there is the recently unveiled BMW i3 (below), which touts an impressive 80-100 mile range but a hefty $41,350 sticker price to go along with it. Then there’s the darling of the EV world, Tesla’s Model S, which costs a princely $72,070 but can travel roughly 208 miles on a single charge of its a 60kWh battery. If you have even more cash to spare, the 85kWh Model S rings in near 100 grand depending on options and can go over 240 miles on a charge. 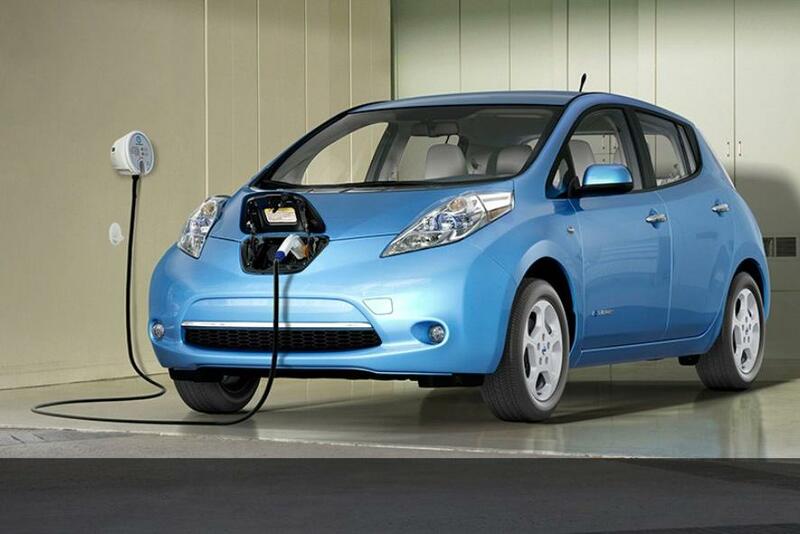 Just remember, you’re going to be buying a lot less gas – if any – by choosing an electric or plug-in hybrid car.